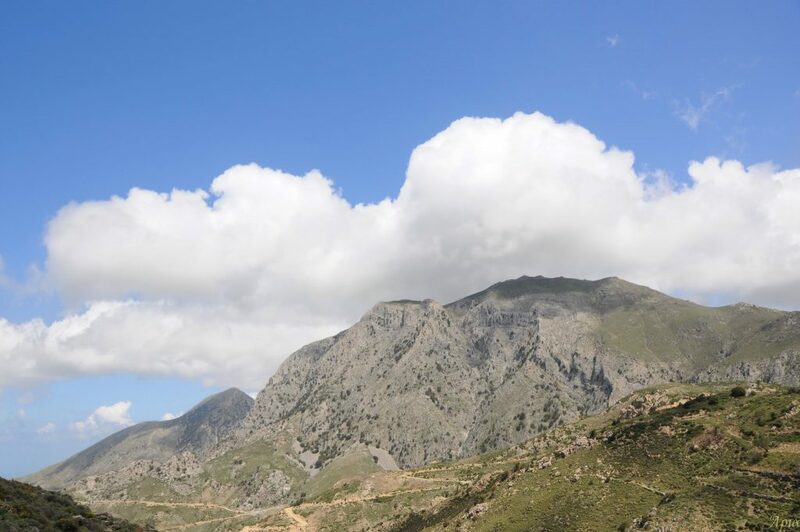 It is a spectacular, circular route that includes exceptional natural surroundings, historical settlements and wonderful views. The trip is suitable for anyone staying in or near Elounda, Agios Nikolaos, Istron and further south in Ierapetra. 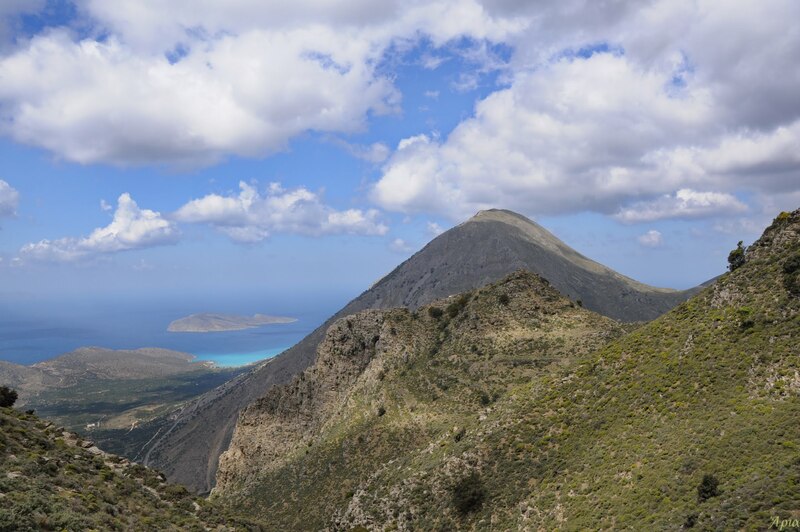 The length of the hike is about 14 km, starts from 130 m altitude and goes up to 730 m. It is one of the greatest hikes in Eastern Crete along with the hike to Thripti, highly recommended. 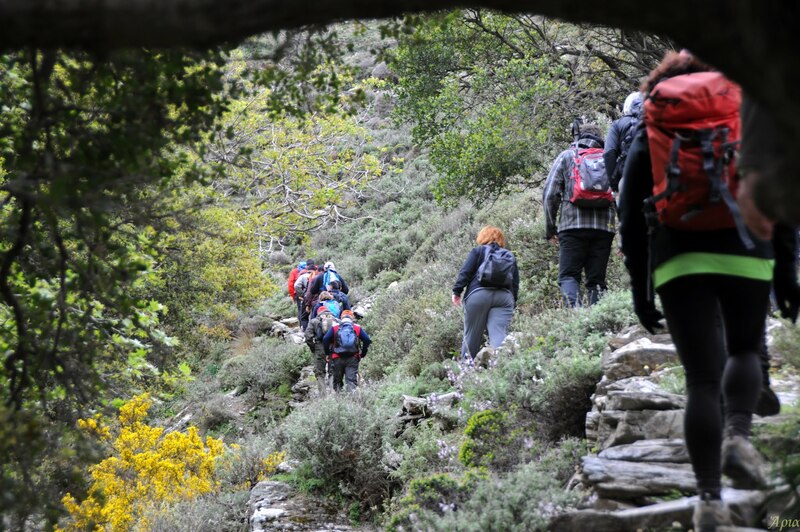 We will visit the ancient settlement of Azorias during our hike. Azoria was originally explored by the American archaeologist, Harriet Boyd-Hawes, in 1900. Although the site has a long history of use—occupied in the Final Neolithic, Bronze Age, and Early Iron Age—the most visible remains are the houses and communal buildings of Archaic date (600-500 BC). 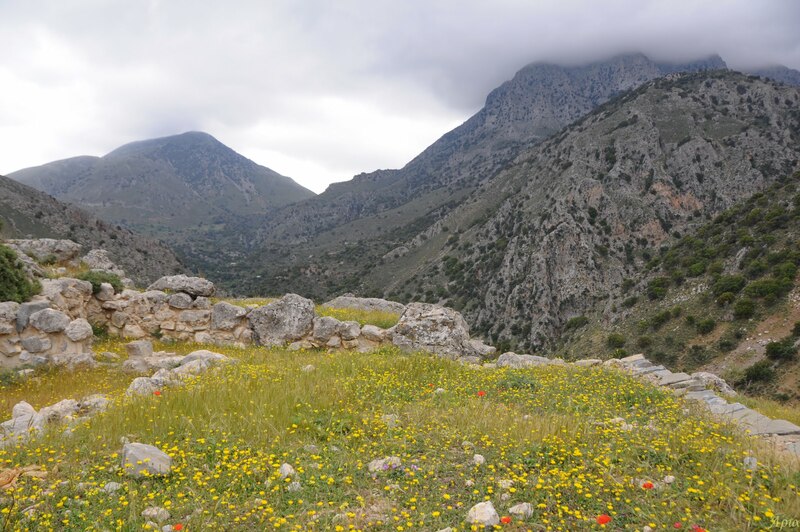 The public buildings of Archaic date cluster close to the peak on the west and south sides of the South Acropolis and cover a total area of over 0.60 hectares. Each produced evidence of destruction and abandonment in the early 5th century BC. This destruction marks the end of the city's life and a long period of occupation. The Archaic rebuilding expanded the settlement to its maximum size (c. 15 hectares), created a zone of communal buildings on the upper west slope of the South Acropolis, and formalised what can be called civic architecture - generally supra-household communal spaces accommodating a variety of possible activities and configurations of groups. 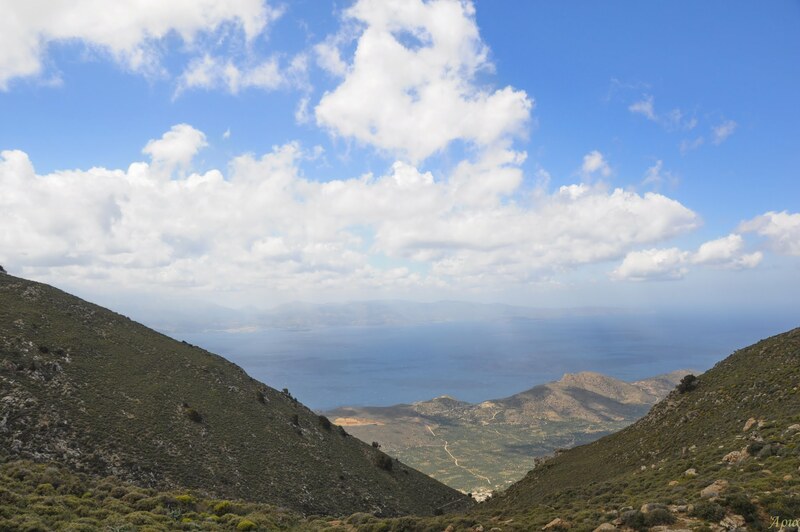 The view to Merampelos gulf. A typical Cretan landscape in eastern Crete. You will need to pack your lunch. Other than that you will need at least 1.5lt of water,sun glasses, hat and sunscreen. Good hiking shoes are recommended as the terrain is rocky and quiet sleeper in some parts. During winter you will need a waterproof jacket and pant plus a fleece jacket. 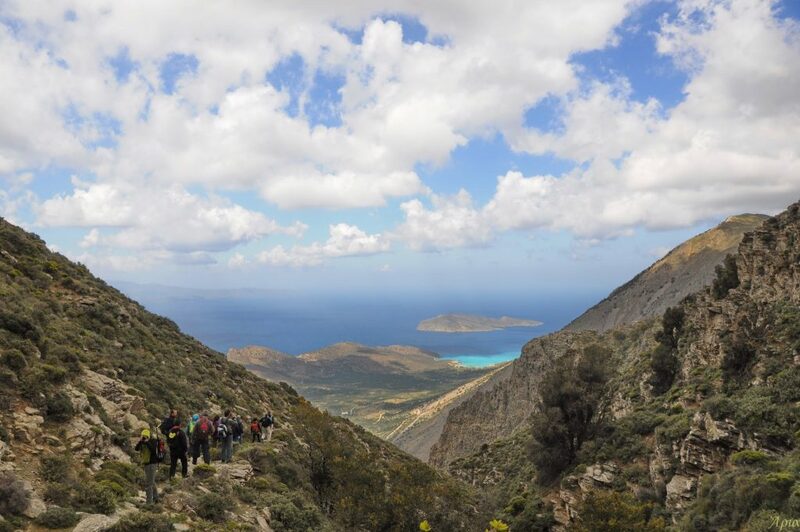 We will meet in Kavousi, check this link for the exact spot. We start by 10 am from Kavousi village. What will happen If weather is bad and cancel the trip? A full refund will be given. If possible an alternative hiking trip might be offered.